You are here: Home » Our Life Together » “Milli Moments” Highlights the Fun of Choir Camp! “Milli Moments” Highlights the Fun of Choir Camp! Fun is at the root of building faith – and choir camp is an important part of that fun! Thanks to Director Ms. Christa and fabulous volunteers, twenty six Trinity kids spent a week together learning about the stories of our faith and using their voices to sing about the lessons. They played games together, enjoyed creative snacks, spent meaningful time with volunteer leaders, and enhanced their vocal, dancing, and acting skills. Two performances “wowed” our worshipping members that Sunday morning. 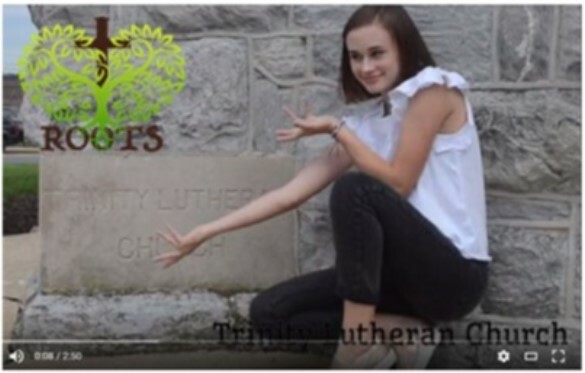 Milli Straub, Trinity’s new vlogger, captured some of this fun in her “Milli Moments” debut. Check it out at Trinity’s YouTube page! (Go to www.youtube.com and search for “Trinity Mount Joy.”) Be sure to subscribe and catch all future episodes Milli will bring to our church family.